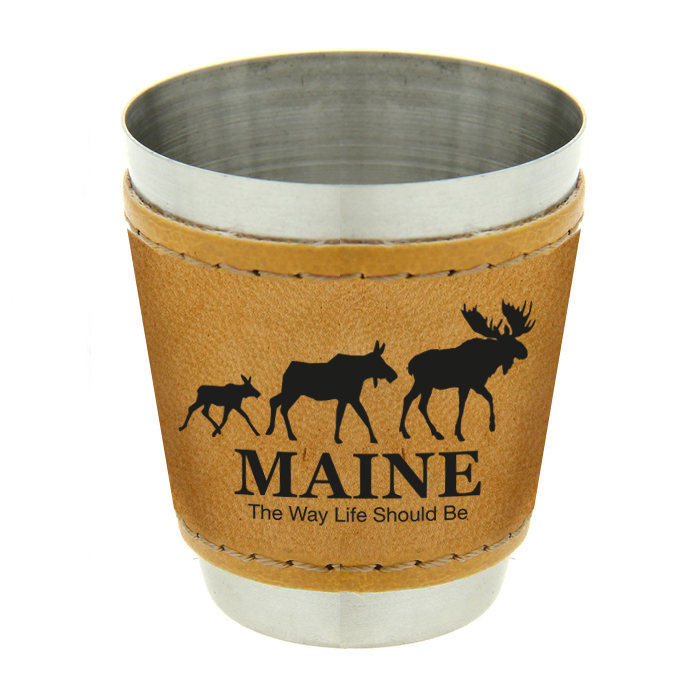 3 OZ Leather-Like Wrapped Stainless Steel Shot Glass. Leather material is only available in a TAN. Smaller quantities are printed in USA and larger quantities can be printed in China at a lesser price (those orders need to be placed by middle of November for February/March delivery).